WARNING: This article contains high school level algebra. 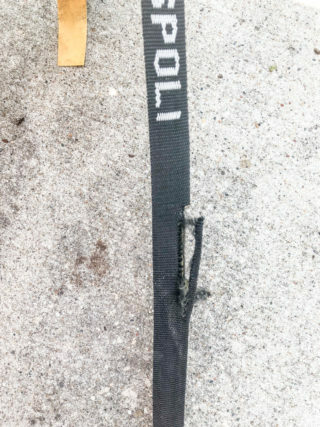 We have a pretty simple philosophy on boat straps and this article will break it down for you into two simple sections. Bonus Section: let us do the leg work for you. BASIC MATH – Trailer and Strap Math and Budgeting. Lets start by figuring some basic numbers. New 8+’s range from $35,000 to $50,000 depending on the manufacturer. Lets say the average new 8+ is $42,500. New boat straps range from $8 to $15. Lets say the average is $11.50. [<<strap that we took off a boat headed to us. not a good strap to use. Do you have a 3 rack trailer? 3 racks high [typically] equals a maximum of six 8+’s and three 4+’s. $276 is 0.64% of $42,500 [one new boat]. 4 racks high [typically] equals a maximum of nine 8+’s and three 4+’s or 33 straps. 33 new straps x $11.50 = $379.50 >> $379.50 is 0.89% of $42,500 [one new boat]. 5 racks high [typically] equals a maximum of nine 8+’s and six 4+’s or 39 straps. 39 new straps x $11.50 = $448.50 >> $448.50 is 1.05% of$42,500 [one new boat]. You might think we are nuts. 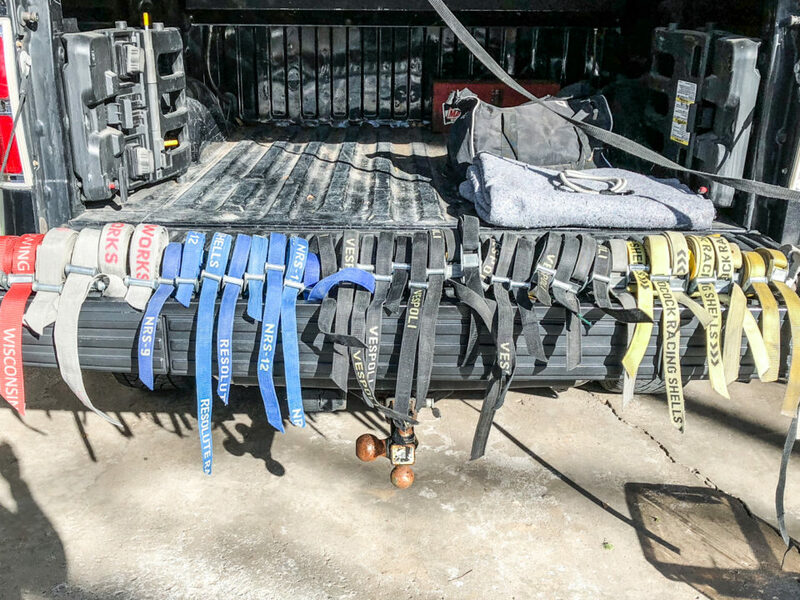 We operate a repair shop and rely on broken boats to make our business run, but believe it or not, we STRONGLY recommend budgeting for a trailer full of new straps each year. Yep. ALL NEW. If you drive a trailer with 15 boats loaded on board, you are likely driving a trailer that is worth at least $250,000. In my mind spending $448.50 on new straps each year, should be almost a no brainer. 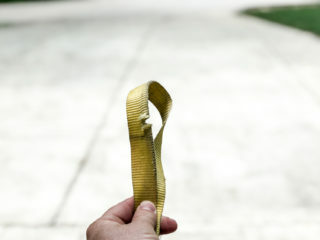 Keep some straps as extras, or back ups, but if there are any straps that look even slightly like this pictures, cut the buckle off [so no one tries to use them] and THROW THEM AWAY. Its simply not worth the risk of driving a trailer with a broken or cut strap. Hot Bonus: We did the work for you. In no particular order.